A new assistant deputy minister (ADM) of First Nations Initiatives position is being created within the Department of Education. The territorial government and the Council of Yukon First Nations’ Chiefs’ Committee on Education are working together on the plan, it was announced late last week. The Truth and Reconciliation Commission of Canada’s Call to Action #62 calls on governments to establish senior level positions dedicated to Aboriginal content in education. The new ADM will work to establish effective partnerships with Yukon First Nations and implement initiatives supporting the success of First Nations learners, a statement said. The senior management position will have a critical role as part of the department’s Executive Management Team and will be responsible for the management and direction of First Nations initiatives within the department. It includes the department’s First Nations Programs and Partnerships program area. “Yukon First Nations are essential partners in supporting the success of First Nations students and in teaching all Yukon students about First Nations ways of knowing and doing,” said Education Minister Tracy-Anne McPhee. “This new position will strengthen our partnerships with Yukon First Nations in the spirit of reconciliation while helping to realize Yukon First Nations governments’ collective and individual educational priorities. The new assistant deputy minister position is being funded through the Department of Education’s existing budget. 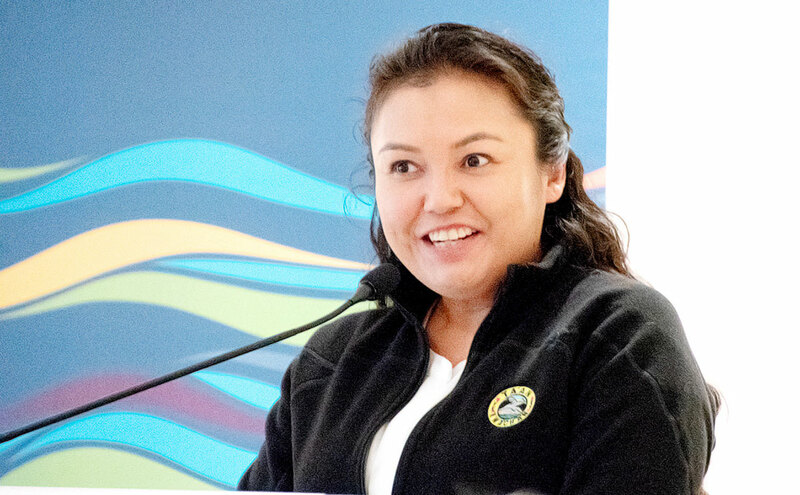 “Yukon First Nations have always recognized the value and need in educating our children, in order to develop healthy communities and build a prosperous future,” said Ta’an Kwäch’än Council Chief Kristina Kane. “Right now, our kids face many challenges in the current territorial education system. Our children require a different, more effective educational experience. “The Council of Yukon First Nations’ Chiefs’ Committee on Education is very pleased to have this new position brought to fruition,” Kane said. “This is a good example of the strengthening of collaborative relationships between Yukon First Nations and Yukon Government. You are in a position where you can spout your rhetoric and not fear reprisal. Lay folk such as myself, have reputations to uphold, jobs to keep. If I were to spout my truth with my real name, well the consequences would be larger for me than for you. You would run around and deem me a bigot rather than reviewing my comments and attempting to understand where I am coming from, as I have done with yours. Heck, I have even liked some of the things you have said. I do not have positions given to me because of my cultural background. You think this initiative is a good thing? The goal is to make students contributing members of the community rather than Globally?? This is not okay in my books. Children, regardless of their background should be given every opportunity to flourish, but when the goal is only to contribute to the community, than there is a larger issue which needs to be addressed. Children should be given the opportunity to head to the Milky Way instead we just want to them to contribute to their community.. frick. The goal should be reach for the Moon and if you fail, you will land among the stars. No one should be satisfied with this initiative and people should demand more accountability and deliverables from department of Education. Society needs to understand, globally we are eons behind and only falling further behind. Yukon College is already doing this and has a department called "First Nations Initiatives" dedicated to it. Why not partner with them more? After all, the college is directly funded by YG Education. In typical government form, they announce a proposed solution to a problem without identifying the problem, instead we get the generic “In response to the Truth and Reconciliation Commission of Canada’s Call to Action”. So what’s wrong with first nations’ education? From historic reporting on this issue, I recall reading that completing grade 12 as being one of the biggest concerns followed by students arriving to school hungry with homework not completed, not enough sleep, no lunch and a general inattentiveness to schoolwork. Dysfunctional family life has also been identified in the past as having a dramatic influence in FN student performance. Yes there is a strong bias against education and schools because of all the issues attached to the residential school traumas, but those days are long past and plenty of FN students have gone on to achieve university degrees and doctorates. So it appears that the curriculum is not the problem. So perhaps rather than amending the curriculum to include more FN cultural history, and other guesses to what's wrong, attention could be put to creating a better home setting so these kids can arrive at school ready to learn and develop academic skills well enough to graduate grade 12 . Again fix the problems at home before starting to change the school programming. How do you propose to encourage and build up First Nations' education, without spear heading it at the Department of Ed. with somebody who is a Yukon FN person? And for "WOW", the salary is actually between $131,000 and $180,000. This will be money well spent if initiatives are created to support and improve FN education. I want a progressive society in Yukon for all students, and the supports in place for First Nations students are SEVERELY lacking. Too many resources for elitist programs and not enough for the group needing support for education, graduation, and crime prevention. @ Troubled - Your comment is a reflection of what is wrong in society today. Do not question, do not criticize... A healthy democracy requires the ability to consider alternatives. Those societies that do not allow for debate are typically referred to as dictatorships and those who would quash unwanted debate, dictators. This is great news. As for the party poopers, come on you cowards let's see you post your real name by your derogatory comments. @Troubled - Anything regarding the advancement of natives is treated in a negative light. Why are people so critical and always need to look for the negative? Give it a chance. Wow - maybe read the whole article? "[The new position] will be responsible for the management and direction of First Nations initiatives within the department. It includes the department’s First Nations Programs and Partnerships program area." "The new assistant deputy minister position is being funded through the Department of Education’s existing budget." A new $250,000 job to help the liberals play identity politics. The new position will also come with more staff making government even more bloated and cumbersome.